Motor Boat & Yachting May edition out now! The May edition of Motor Boat & Yachting hits newsstands today, packed full of exclusive features and crusing tips. 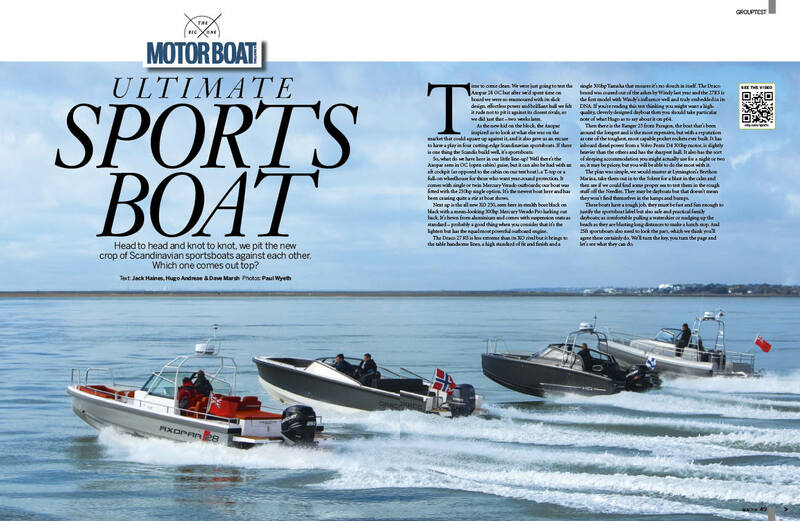 This month we’re looking at some seriously speedy sportsboats, as our four-way group test pits the Axopar 28 OC against the Draco 27RS, XO 250 and Paragon 25 Ranger in a Solent shoot-out. It’s not all high-speed thrills though, as Peter Cumberlidge talks to a wide range of boat owners to find out the pros and cons of tortoise and hare cruising styles. Speaking of life in the slow lane, Richard and Fiona Dennis explain how they crossed the English Channel in their humble 7-knot Sheerline 955. 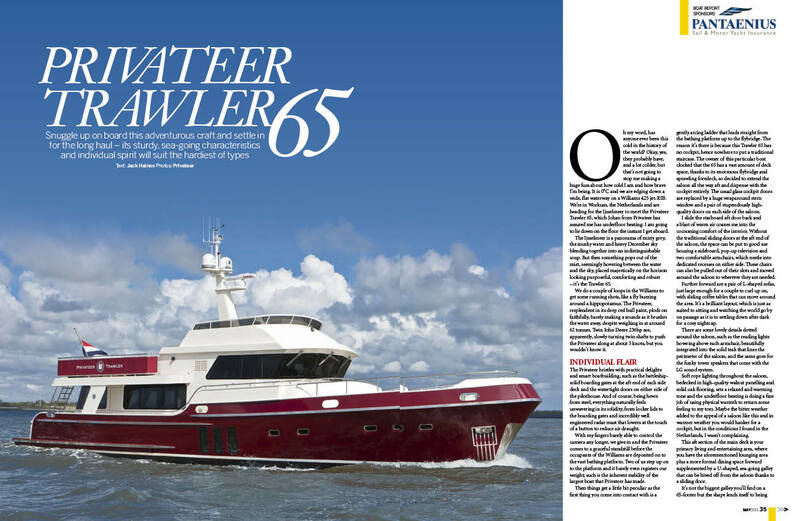 And Jack Haines has been over to the Netherlands to test out the Privateer Trawler 65, which is designed to gobble up miles in the utmost of comfort. We’ve also got the conclusion of our ‘Marlow to Moscow’ cruising series, in which Thomas Kittel finally makes it back to his home berth in Rostock, via Gothenburg and Stockholm. In Used Boat, Chris Jefferies takes a look at the jet-drive Oyster LD43, while Nick Burnham picks out four classy second-hand sportscruisers that are on the market for less than £50,000. Finally, in our practical boating series Cruise Further, Cruise Safer, we take a look at the issue of leaving a side-on berth in windy conditions.